This book chronicles the often brutal conflict between smugglers and excisemen along the shores of Wales. 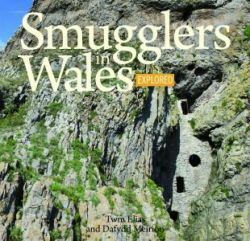 Smuggling in Wales, as in many other countries, was driven by hardship and poverty. Coastal communities often suffered such hard times and Wales in particularly, was a smuggling haven with its rugged western shores and remote coves and caves, conveniently situated in the Celtic sea within reach of the contrabrand centres of the Isle of Man, Ireland, France and Brittany. This book chronicles the often brutal conflict between smugglers and the Exize men and also discloses that some quite respectable gentlemen – lords of the manor and churchmen – were often behind the scene links between the boatmen and the city markets for contrabrand. It takes us from cove to cove along the shore of Wales, exploring the stories about places which have not been previously published.